SEOUL, Aug. 10 (Yonhap) -- South Korea's foreign ministry said Friday it has sent an envoy to Libya as part of efforts to win the release of a South Korean national kidnapped by an unidentified armed group there. 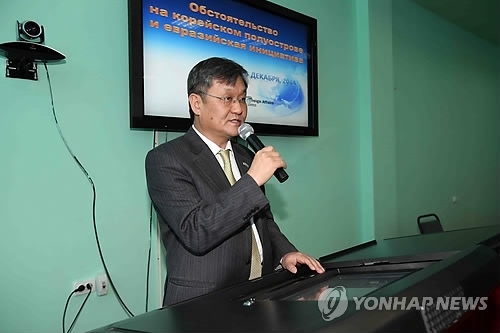 Baik Joo-hyeon, South Korea's former ambassador to Kazakhstan, left Incheon International Airport for the African country earlier in the day, the Ministry of Foreign Affairs said. The envoy plans to stay in Libya for around three days and meet high-ranking officials to discuss the release of the captive. The South Korean man and three Filipinos were taken hostage on July 6 in an attack on a water project site in western Libya, according to the authorities. A video clip showing them was posted on social media amid the government's monthlong secret activity to locate and rescue the hostages. Baik served as the ministry's director-general of the consular affairs bureau in the early 2010s before his stint as ambassador to Kazakhstan. He handled efforts to resolve two kidnapping cases involving South Korean fisherman operating in waters near Somalia.